You no doubt know the phrase ‘ageing gracefully’ writes Dr Bryan Mendelson, Specialist Plastic Surgeon and Australasian Society of Aesthetic Plastic Surgeons member. Ageing gracefully is a well-used concept from our parents’ generation, but its’ meaning has altered in this rapidly changing world. As originally used, ageing gracefully was a euphemism, that is an agreeable or even noble term, substituted for the unpleasant reality, about giving up the ongoing struggle to keep up appearances, given that ageing changes of the face are progressive. There seems to be this idea that once we hit a certain point in our lives, we should let ourselves go and give up all the maintenances we used to make us look and feel great. I’d argue that as we age, what we need may change, but it certainly doesn’t mean appearance no longer matters, just because society seems to think so. What does help in the long run is ensuring you lead a healthy lifestyle. An overwhelming amount of research focuses on the importance of maintaining physical activity, eating correctly and sleeping regularly. So why at some point would we give up on our external appearance? The current generation understands smoking is an anathema to ageing gracefully, being detrimental not only to health and longevity, smoking also causes premature facial ageing. The main concerns I hear from patients about their face as they age is that they are ‘looking tired.’ Looking tired is the first sign of ‘middle age’ appearing, but these changes need not be accepted! Heaviness of the upper lids. Sagging of the outer brows. Jowls, loose skin along the jawline and side of the mouth. Maintaining your skin health by using a professionally recommended skin care regime is important for men as well as women. With the skin care industry ever evolving, there are now excellent treatments available for all to assist at every age. Whether it be for treatment of sun damage, which is a common concern for those growing up in Australia or other ageing changes such as wrinkles. The simple fact these changes are being addressed helps to lift self-esteem and with that the confidence to put your best face forward continues. It takes an appreciation of the importance of having a lovely complexion to give priority to keeping it looking good. The sooner you start the better. By consulting a Specialist Plastic Surgeon who has an in House Dermal Clinician you can be educated on an individualised regime specific to your skin type. Results come, not always from expensive cosmetic labels rather from products which contain the correct active ingredients. Used over time these products progressively rejuvenate the skin, its surface texture, thickness and even its elasticity. The result obtained is comparable to that seen from intense laser treatments, but without the risk. Anti-wrinkle injections effectively minimise excessive expression lines, conveniently and safely, while a range of filler injections help restore lost volume of youth. 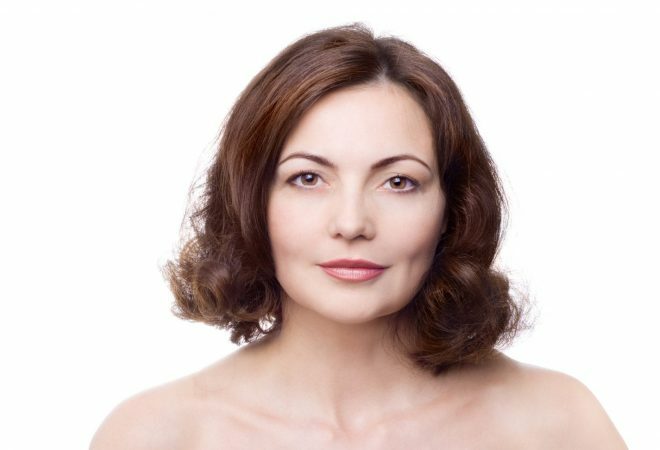 Fat injections for volume (transferring your own fat from an area of excess, such as tummy or hips) are being increasingly used for facial rejuvenation. Common areas of volume replacement include around the eyes, the temples, and cheeks as well as the lips. While facelifts tighten loose skin around your face, jaw and neck areas, they do not address the volume loss associated with ageing. Restoring volume to these areas gives an immediate youthful appearance. These days the expression ‘ageing gracefully’ infers we should be making the most of the opportunities available to maintain youthful appearance but of such quality it is not detected by others. This specifically excludes the very obvious ‘Hollywood style’ of surgery. While this look can be seen as a ‘status symbol’ in some places, such as LA and Brazil, in Australia this ‘surgical look’ is a stigma! It is a look seen on the faces of some Australian actors who have had their surgery in LA. This look gives the impression of not ageing gracefully, the proverbial ‘mutton dressed as lamb’. These factors lead to the surgical options your Specialist Plastic Surgeon can discuss with you, as part of an overall strategy to slow your rate of ageing. After all, the best way to look good for your age naturally is to slow the rate of ageing. With people living and working longer, wanting to maintain your looks is entirely logical. By consulting your Specialist Plastic Surgeon, you will obtain quality information and perspective to guide you about the options which best suit your situation. The most common mistake people make is to delay; therefore, not benefiting the most from what is available. It is my hope that by having this modern understanding of what ‘ageing gracefully’ means, you will be on the path to slow the rate of your ageing changes, so that you look and feel as though you are one of those people fortunate to ‘naturally’ look good for your age! Read Dr Vijayasekaran’s advice on the Fundamentals of Anti-Ageing Skin Care. To discuss your surgical or non-surgical options with one of our team, click here.